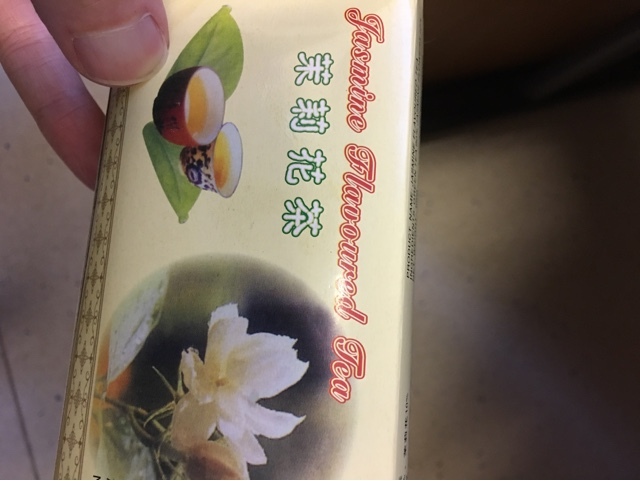 I like tea - like this old and dusty box of Jasmine tea. Loose tea requires a way to drink it, and if you are just making the one cup it needs to be a bit portable. Catching it's own drips would be a plus too. 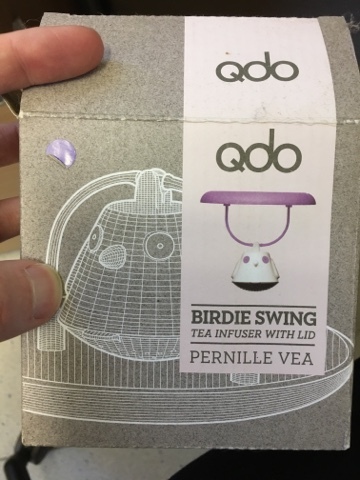 This is why when I saw this Qdo tea infuser I was happy. I bought it originally to give as a present. When I discovered that person already had a 'good enough' solution to the problem it sat around in my kitchen for a bit. It even lived at a friends house for ages - still unloved and un used. 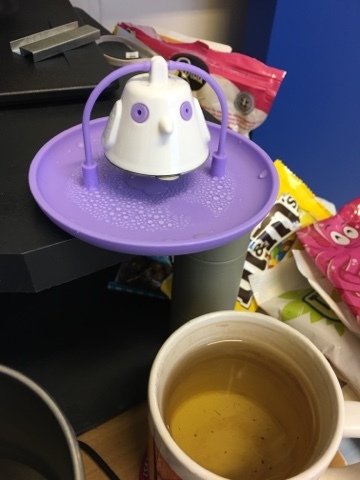 As my own tea infuser was a little dated, and it was making the little birdie sad to be sitting unloved in the box I decided that he'd go to work with me. And the dusty tea. The bird has a little hatch in the bottom and you put the loose tea in there (I overfilled it, then took a picture with just a few bits left). Then he pivots and dunks into the hot water and the lid keeps it at a decent temperature. He then pivots back round and sits on your PC looking majestically out over your tea, with the occasional drip from his underside into the handy tray. It's a really aesthetically pleasing little gadget and it worked pretty well, I think it'd make a great gift for a tea drinker. 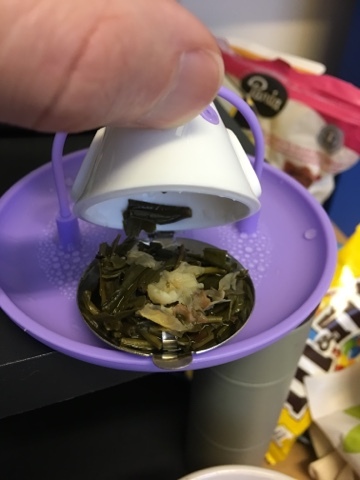 I'm sure that the plastic may not hold up all that long and I'll be fishing the poor bird out of the tea with a spoon, but until that day he'll happily pivot and drip and enable me to drink loose teas at work. Hurrah!